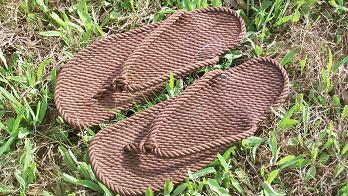 Ozark Rope Flips are our new design developed after the famous Flip Flop. We offer a range of sizes for men and women, between 6 - 12. Our rope flips come in a three colors, beige, brown, and black. Our rope Flips are colorfast, saltwater resistant, and safe to wear in chlorinated water. Navigating this site with the menu. On Flips Selection, you will see our product line. Ordering Facts for detailed instructions on ordering, About/Contact to learn more about our company or to contact us, and Links for other sites we think you'll enjoy.